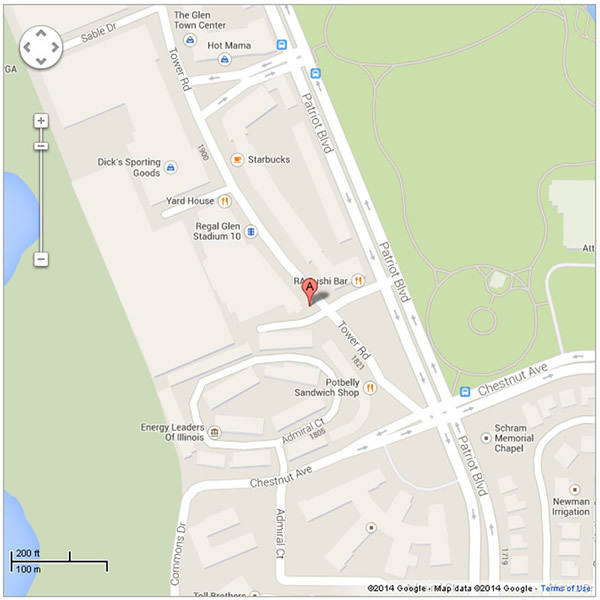 We are located at the south end of the Glen shopping area which offers fine stores, theaters and ample parking. 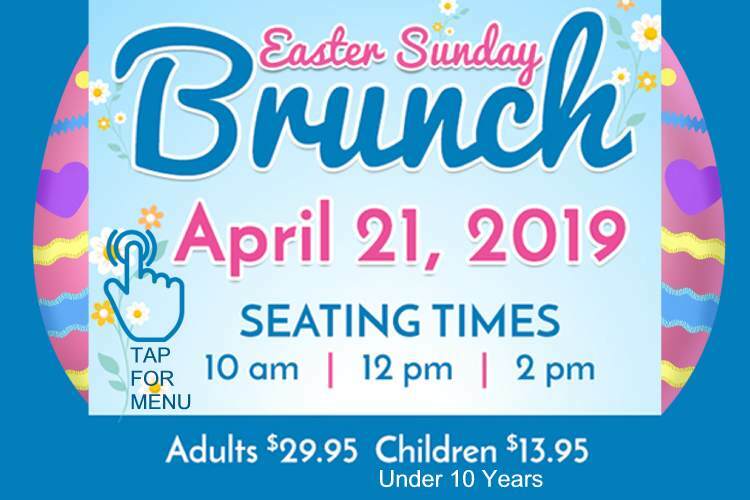 Our Pub features great food, a wide selection of beer, wine and spirits, live entertainment and a great time for the entire family! We have a fantastic outdoor dining area with ample seating and great service! It's the perfect place to share some good times with friends. Planning an event? 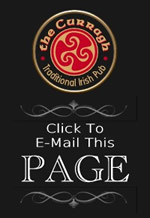 We can cater it for you or make it a truly special event here at the Curragh! Customized event and customized service. You name it - business lunches, parties, graduations, birthdays, funeral receptions, brunches, buffets, sales meetings, rehersal dinners, baby showers, cocktail parties or surprise parties. We'll give you the kind of special treatment you won't find elsewhere. See what Your Events can be! 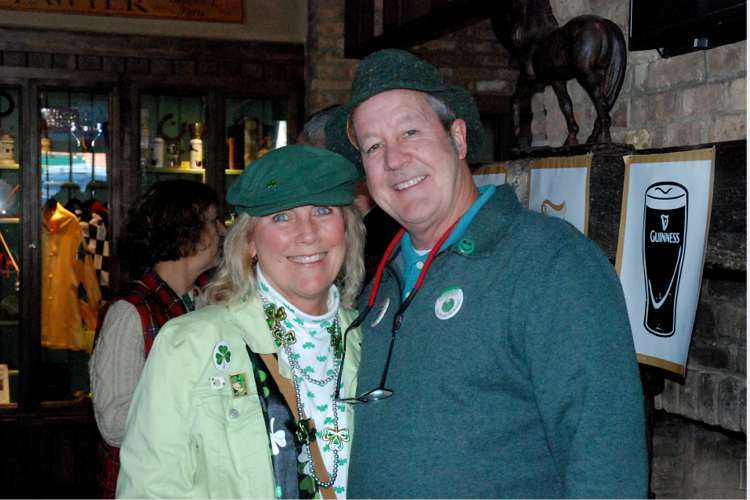 Drop by our Photo Gallery to see what the Pub looks like and to check out some shots from our first St. Patrick's Day in the Glen. In the small villages that dot Ireland, the pub culture plays an important role in social life: it is the social hub of the community. Half of the magic of Ireland lies in the people, for whom great conversation and good humor are at the very heart of a wonderful culture. For instance, in a town with a population of 1,000, there are often as many as 50 pubs. Village folks dont sit in front of the television after supper, they meet at the local pub and don't go home until everyone at the table has politely bought a round. 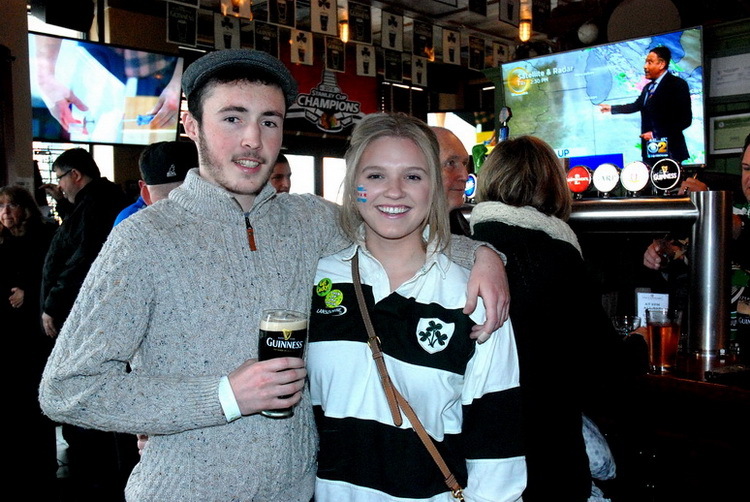 Craic is an atmosphere that will be different from pub to pub, yet will be the main difference between us and all of the other pubs, restaurants, and bars in town. Craic is not something that you can hold in your hand, nor can you see it on the wall yet, when you walk into a pub and it is there, you can definitely feel it. 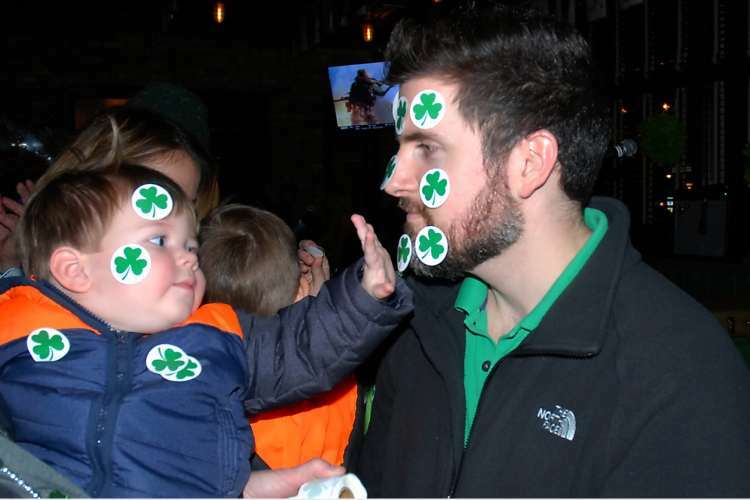 Craic is the little something extra that is done to make our guests have a great time. 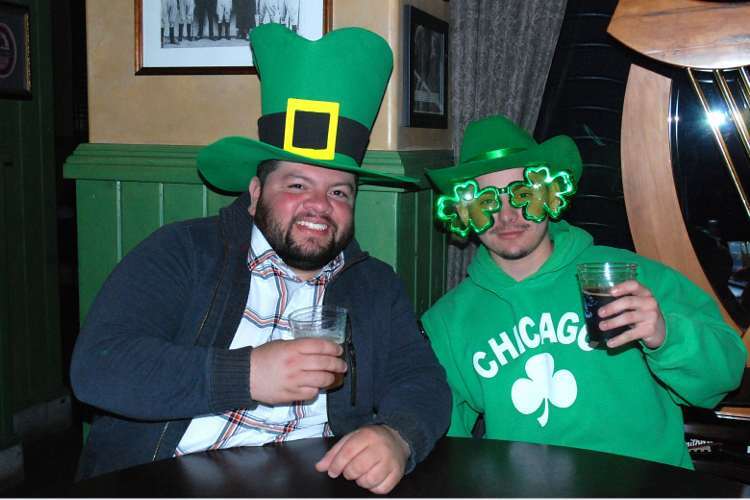 The Irish are well known for their appreciation of good drink. 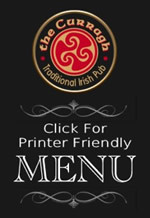 Beer and ale are almost as important to the Irish diet as food, and pub life is a critical aspect of the Irish social culture. Stout, a strong dark, malty-tasting beer, is Irelands most popular drink; and Guinness, a name that is synonymous with stout, is a national treasure. 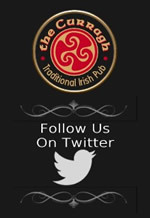 Here at the Curragh we guarantee that your pint will be the best around. In recognition of our dedication to pouring the perfect pint, the Curragh has been awarded the Guinness Gold Standard Award for perfect pints! 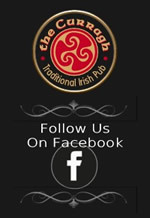 Thank you for visiting the Curragh Irish Pub and Restaurant and we hope you enjoyed the "Craic".